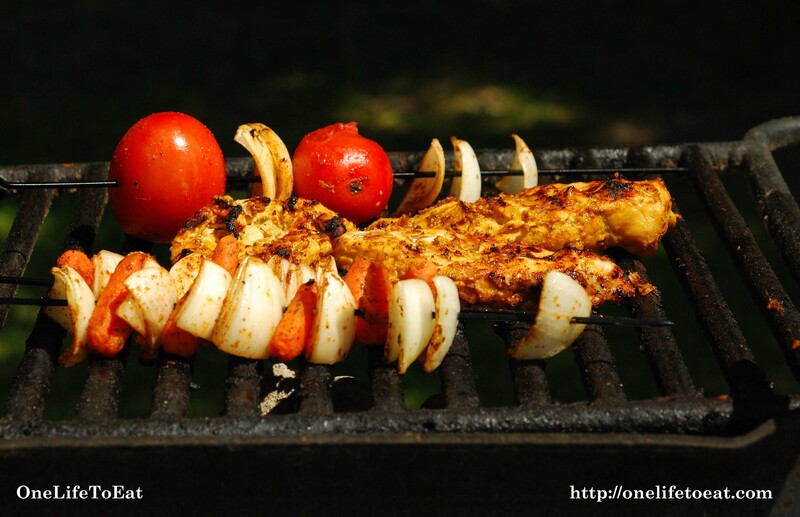 Grilling in India is synonymous with the Tandoor style of cooking which involves cooking meats, breads and vegetables in a deep clay oven that is heated with hot coals. Food cooked in the Tandoor has a distinct flavor, achieved by using a specific blend of spices, further enhanced by the flavors of the clay oven and fumes from the burning coal. Owing to a proliferation of Indian restaurants world over, and their desire to appeal to western sensibilities, tandoor meats and tandoor style cooking has a lot of awareness and appreciation. The good news is, Tandoor style cooking doesn’t necessarily require a clay oven and can be easily done using a conventional coal or electric grill. With the coming of an early summer here in MN, the hubby & I have been grilling every other weekend. It all begins with marinating the meat appropriately, preferably overnight, using a blend of tenderizing yogurt and assorted Indian spices. Ready to use spice blends are easily available in all grocery stores and you’ll be sure to find a ‘Tandoor chicken masala’ packet at your neighborhood Indian grocery store. However, all the manufactured blends have tons of preservatives and artificial color that you’d be better off without, when my marinade recipe is so easy to prepare. 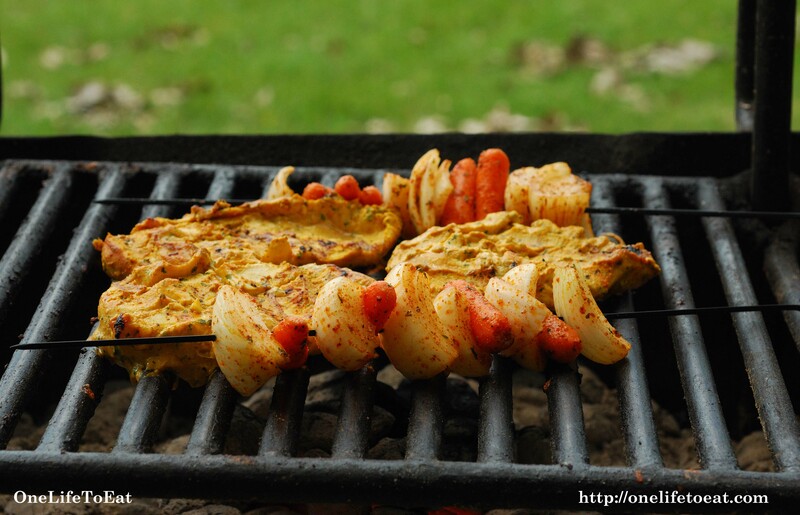 Prep the veggies for grilling an hour before your cookout, throw on some store-bought naan on the grill and you have a veritable Indian tandoor feast at your disposal! COOL TIP: Trader Joe’s has the best naan here in the Twin Cities and comes closest to the ones back home. This is so yummy. Sometimes I add a few mint leaves to my marinade, it gives such a great edge to the taste. Your recipes were always great, lately the photos have been brilliant too. I’m loving your tandoori spice mix. We live in an apartment so it’s hard to barbeque but I will try this in the oven. Thanks for a fab recipe! Glad you liked the recipe Sukaina! You have a gorgeous blog yourself. Drooling at the photography!